Virtual Reality is now… a reality! Apart from issues shipping the things out to their anxiously awaiting fans, the Oculus Rift CV1 and the HTC Vive are now in the hands of consumers ready to experience the closest thing we have to the Matrix. Or Sword Art Online. 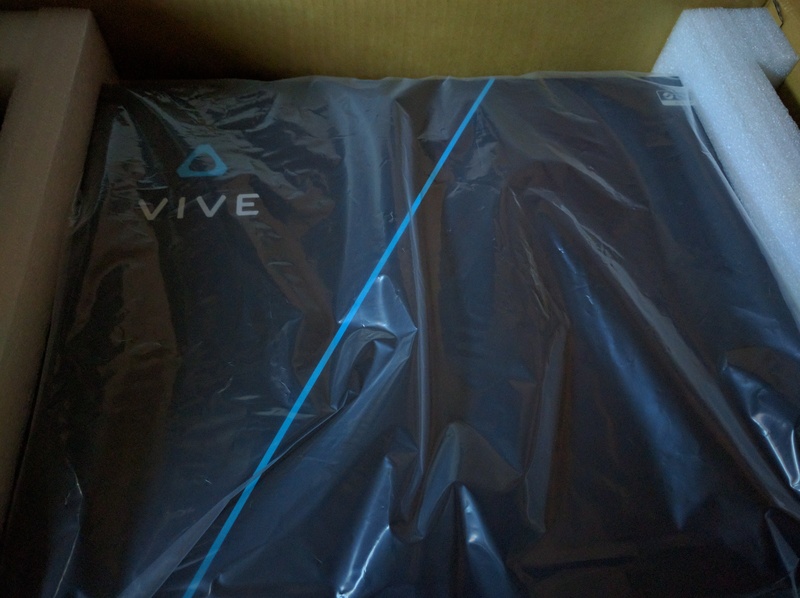 I am one of those fans, having been in possession of a HTC Vive for a few weeks now and can give my thoughts on preparing for VR and using VR. Prior to getting the Vive I was upgrading my PC, not only in preparation for the Vive but also to play games at higher settings with smoother frame rates. While VR was a small reason for upgrading my PC, the main reason was to maximise the gaming performance of my PC considering the time I spend playing games (and a bunch of other stuff) on my PC. I didn’t go for the absolute top-of-the-line components, but it was quite close to the top. I kept my computer case, PSU and other small parts, but basically all of the internals have changed in my PC. I’ve switched from my i5-4670 to an i7-6700K, in the hope that I won’t need to change that for several years. I didn’t go for an X99/Haswell-E or Broadwell-E build because I didn’t really need massive CPU power, just enough to handle the CPU bound Total War games. As a matter of course, my RAM has gone from 8GB of DDR3 memory to 16GB of DDR4 memory. The biggest upgrade is the graphics card, which goes from two R9 280X’s in Crossfire to the R9 Fury X, AMD’s top-of-the-line graphics card that is only available as a water-cooled card. 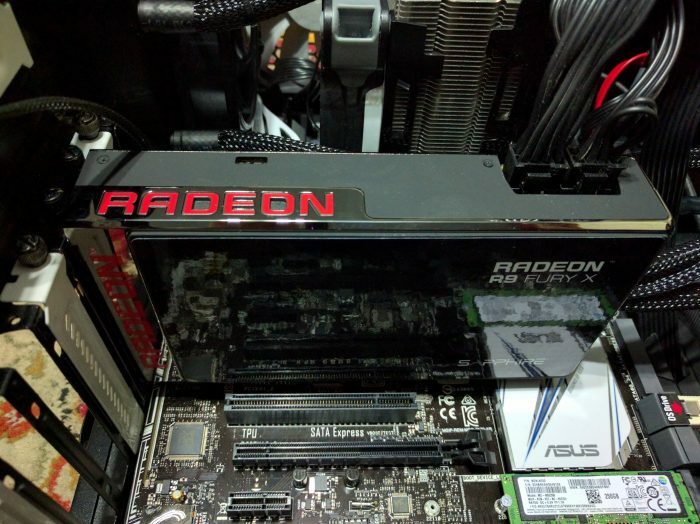 The big debate with graphics cards is which side to choose, red (AMD) or green (Nvidia), especially at the top-end where the 980Ti reigned supreme when I purchased my Fury X. In my case, I also upgraded my monitor to a Freesync monitor, the Acer XF270HU (a 27 inch 1440p IPS monitor with a 144Hz refresh rate) which is around $100 cheaper than the Nvidia equivalent G-sync monitor. So the combination of a Fury X and Freesync monitor is around $150+ cheaper than a 980Ti and G-sync monitor combination. I also have a soft spot for the Fury X, with the card itself being smaller than you’d expect and quite nice looking (if I were to remove the Sapphire branding sticker). That said, the 1080 is an absolute beast of a graphics card and will handle VR like nothing else on the market, but also starts out at $1150 here in Australia. I’ll be honest, playing relatively recent releases at near max settings is wonderful. The Witcher 3 looks amazing walking through a densely populated Novigrad with high detail textures. GTA V looks marginally better, with the main benefit being less pop-in with the greater view distance (though the 4GB of VRAM on the Fury X is still limiting). Doom and Total War: Warhammer also look great on Ultra presets, partly thanks to Direct X 12 and Vulcan, which gives small to noticeable improvements in the frame rate at near-max settings. While the graphics are a significant part of the visual upgrade to my games, the other is the variable sync refresh provided by Freesync (and G-sync). As long as your graphics card is rendering enough frames to be within the monitor’s variable sync refresh rates (40-144Hz for my monitor), the monitor will match its refresh rate to the frames output by your graphics card. This eliminates screen tearing and the need for V-sync, but also eliminates stuttering resulting from the monitor not having a new frame to display when it refreshes with a static refresh rate. It’s a pretty nice upgrade that I would recommend if you’re thinking of upgrading your monitor and have a compatible video card. Not essential, but just makes playing games that little bit nicer. 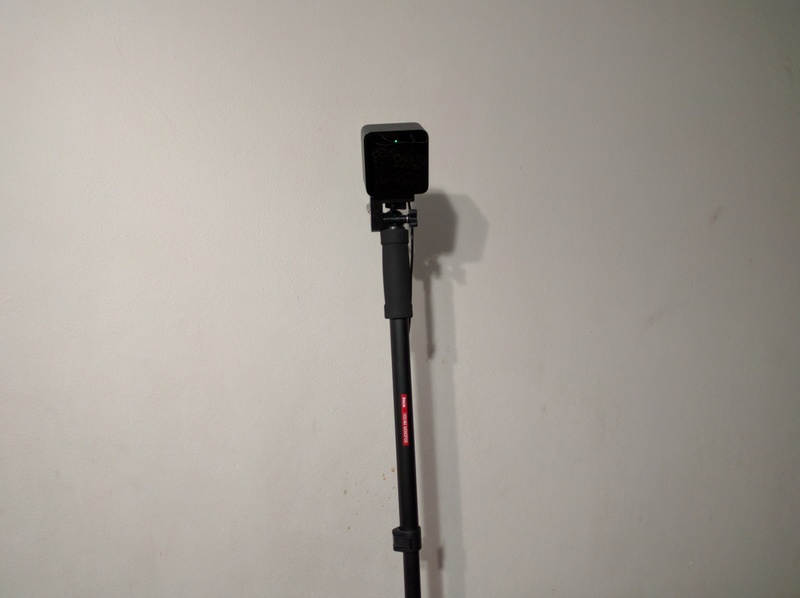 So once I got my Vive I initially set it up for seated/standing experiences only, which was very easy to do. In terms of the logistics of a Vive setup, you require three power points (for the two Lighthouses and the headset itself), one HDMI or Displayport output on your video card, and one USB 2.0 port (as well as 2 USB charging sources for the Vive controllers). The headset is connected to a breakout box, with the cables between the breakout box and your PC being roughly 1m, and the cable between the breakout box and headset being roughly 5m. For my bedroom setup I just chucked the lighthouses on top of my bookshelf and closet, hooked up the headset and followed the setup instructions from the SteamVR setup app. But when it came to setting up the room-scale experience, I needed to do a little more legwork. My PC is located in my bedroom, which is roughly 5m from the living room entrance. So I purchased a 5m HDMI cable and a 5m active USB 3.0 cable to go from my PC to the breakout box. This was sufficient to reach my living room, which barely has enough space to meet the minimum room-scale requirements of a 1.5m by 2m space. For an optimal room-scale experience the Lighthouses should be mounted above head height diagonally across from each other, with the room-space in between. However, my living room only has tall surfaces on one side. The solution was to buy a monopod and mount the Lighthouse on that, as the Lighthouses have a standard camera mount screw hole on the bottom. Once that was done, room-scale experiences were all ready to be experienced. So I’ve played a bunch of VR games and experiences, including some Oculus exclusives which I’ve been able to play thanks to the Revive compatibility layer. Playing the Oculus exclusives means I can also compare them to the DK2, though if you want a comparison between the Oculus Rift CV1 and Vive there are a number of those articles on the internet. 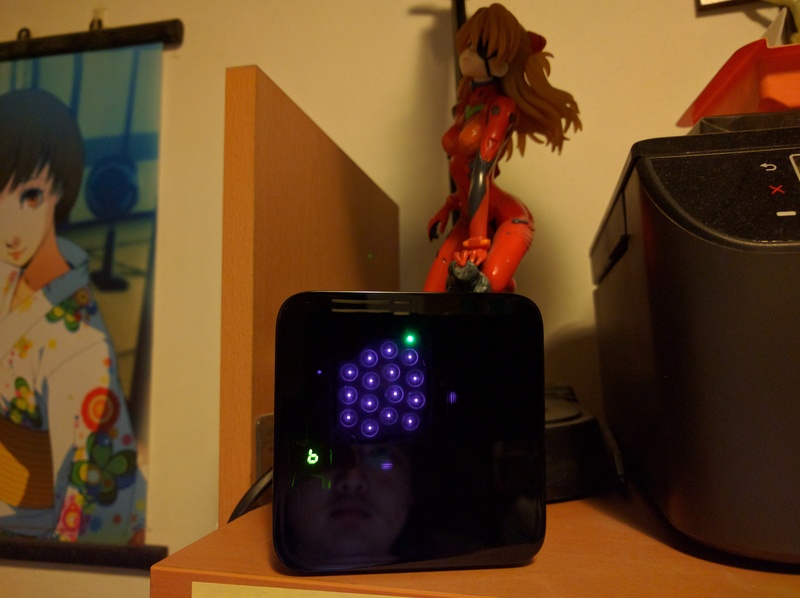 In general, my experience with the Vive has been overwhelmingly positive. That is not to say that there aren’t negatives with the Vive, but the positives of my experience have been so great as to outweigh the negatives greatly. The Vive has achieved a sense of presence in a virtual world that has fooled me to the degree that I have attempted to steady myself on a virtual table. Obviously, what followed was something that took me out of that sense of presence as I fell down, but that doesn’t take away from the fact that when I am in a virtual world and moving in it normally, I feel as if I am really in that world. In terms of the screen of the Vive, there is a clear improvement over the DK2 in that the screen door effect is no longer a significant problem for me, even while wearing glasses using the Vive. This is partly due to the arrangement of the pixels on the screen compared to the DK2 and the increased pixel density. But it hasn’t fully gone away, as there are times when I do notice the individual pixels. This is with glasses on though, and I am unsure if having two consecutive lenses exacerbates the problem. The increase in FOV is also welcomed, giving me some sense of peripheral vision. Overall, the visuals are good enough that coming close to a human head crosses the uncanny valley and I get a sense of intimacy/awkwardness, though there is definitely a minimum distance before you start to lose your visual focus. An improvement I can definitely feel over the DK2 is the improvement in tracking of the headset. While the DK2 was quite good, using the Vive made me realise that the DK2 had moments of latency that the Vive does not appear to have. Again, I put the caveat that how my DK2 was setup may have caused those minor issues, with the camera being blocked at very low angles, but the Lighthouse system seems to solve those problems with its much wider field of view, even with just one of them in use. Finally I come to the controllers – the two Vive controllers that also have tracking. In my opinion, the full potential of VR is only realisable with tracked controllers, and I would deem it essential to have them. If you choose to get an Oculus Rift, getting Oculus Touch controllers should be one of your priorities. The funnest or most impressive VR experiences all involve interacting with objects with your hands, or using guns with 1:1 hand tracking. Indeed, the case where I tried to steady myself on a table was only possible because my hands were being tracked. So here a few of the notable games that I played and felt were standout experiences. It’s not an exhaustive list of all the best VR experiences, and there are many I still want to try out. Probably the game most likely to give you a nice fun workout, Audioshield comes from the creator of Audiosurf. Similar to Audiosurf, you can use your own music to generate a level to play for that music. The gameplay revolves around blocking orange and blue balls with shields on your left and right hand – each hand can only block one colour of balls. You also block purple balls by holding both shields together. Sounds very simple, but with high tempo songs this can be quite a challenge, especially when balls appear from the opposite side of the hand that will block them. The game is a great way to introduce VR, and works as a standing experience. Having followed its development I was very excited to play Hover Junkers. It also was one of the standout VR games on launch for its frantic gunplay action. Thankfully by the time I played it the developers had added the Bot Battle mode, as I could not find a multiplayer match when I played (and I wonder how many Australians are playing so ping isn’t an issue). Regardless, the Bot Battle mode is great fun – the various ways to reload your guns are very satisfying, and dodging robot shots is an exercise in itself. That said, fighting robots in Space Pirate Trainer is also quite a blast, and the two are very similar in some ways. However, Space Pirate Trainer gives you charge-based weapons that don’t need to be reloaded conventionally, you have access to a shield, and the robots can come at you from all directions. Time also slows down when bullets approach you, letting you do the Matrix moves you have always wanted to do since Keanu was told he moved like they did. It was recently updated with more features, and I am keen to check it out again when I have the time and my room area free again. Continuing the theme of fighting robots, Raw Data is perhaps the most promising of these three games. You fight waves of mostly humanoid robots using either a cyber katana or a gun. Raw Data was the game that made me feel most like I was John Wick, if John Wick was sort of like the detective in Blade Runner hunting robots. Moving past my poor choice of comparison, the action of rapid shooting, grabbing a clip from your belt, reloading and firing again is perhaps the best shooting I’ve experienced in a game in a long time. There is something satisfying visceral of grabbing a clip and loading it in. Whereas if you choose to be the katana wielder, there is a neat mechanic where when you warp to a place, you move there really fast, and can slash while moving. But for me the gun game is so good that it is my choice for a VR shooter in my library. But you have no shortage of choice for shooters, between these games, Onward (a mil-sim) and Hot Dogs, Horseshoes and Hand Grenades. This was the game to make me fall over while attempt to steady myself. Raw Data is a stealth game where you can teleport between spots, but to make up for your ability the level design is good at making you teleport into places where you may not have the best visibility. But the teleport mechanic is more than that, as you get a magical window into the place you’re teleporting, letting you scout around before you teleport. Then, to teleport you have to bring your hand (and the window) to your face, which expands that new location to surround you and thus teleport you to that place. It is a really cool effect, and adds a lot to the stealth mechanics of the game. I had a lot of fun with this game, and can’t wait for the full release. This should definitely be one of the first things you play if you get a VR headset. Another one to play when you get a VR headset, Job Simulator is the game that lets you mess around in a comedic environment. The thing that really stands out about the game is that if you think of something to do, and try to do it, you will almost definitely be able to do it. From expanding hotdogs to ludicrous sizes, to pouring coffee between cups and over robots, to eating mouldy donuts, to cooking the most rancid soup imaginable – this game has it all. Plus it is a prime candidate for showing how being able to interact with the environment using your hand controllers makes VR such an amazing experience. Finally, this is an experience which I think best introduces anyone who doesn’t play games normally, or plays them casually, to the VR experience (of course, anyone will probably enjoy it). Tilt Brush is Google’s VR 3D painting experience, and is very good at selling what VR can do as a tool. In fact my sister played Tilt Brush a lot more than I did, and she really enjoyed being able to paint a room around her with a crackling fire place. Which is perhaps the key point of Tilt Brush, being able to create something with depth that you can walk around, or something that surrounds you completely as a tiny virtual world of your own. So this has been an expensive endeavour, yet I have considered the investment worthwhile. For someone whose main hobby is playing video games, and being presented with what could possibly be not just a new way to play games, but a new frontier in how we interact with technology and experience new worlds, I wanted to be a part of that start. My only regret is that I don’t have a larger space dedicated to VR room scale experiences, as I would probably have lost a bunch of weight by now playing a lot more VR. That said, would I recommend you get your own headset? Short answer is no, as it is very expensive. The slightly longer answer is to wait for PlayStation VR and see if the experiences there are enough to match the price (cheaper comparatively, but still essentially doubles the cost of the console). The longest answer is that if you are into upgrading your PC to be a high-end gaming PC regularly, then the investment into a PC VR headset is probably worth it at this point.